A thorough introduction to the brand in the 798 Dan Shan Zi art district. Although all eyes will be on Beijing this summer, they probably won't be on 798 Da Shan Zi, an art district in the northeast corner of the city. However, it is here that Maison Martin Margiela has chosen to show its first exhibition in Greater China, in partnership with HK fashion retailer I.T. The "798" art zone came about when the old state-owned factories were turned into galleries, art centres, studios and design companies, and the Margiela exhibition is being held at the space owned by I.T., where they also plan to hold other fashion retrospectives. The majority of Beijing visitors may not be familiar with Maison Martin Margiela as a brand, but they are presented with all the different facets of its work, organized into eight rooms that houses current and archive documents, garments and videos, to give a thorough introduction to a brand that can be seen as an antithesis to luxury and at the same time is highly commercial. In one room, an installation of white cotton-covered dummies introduces people to the womens' collections, lines 1 and 4. 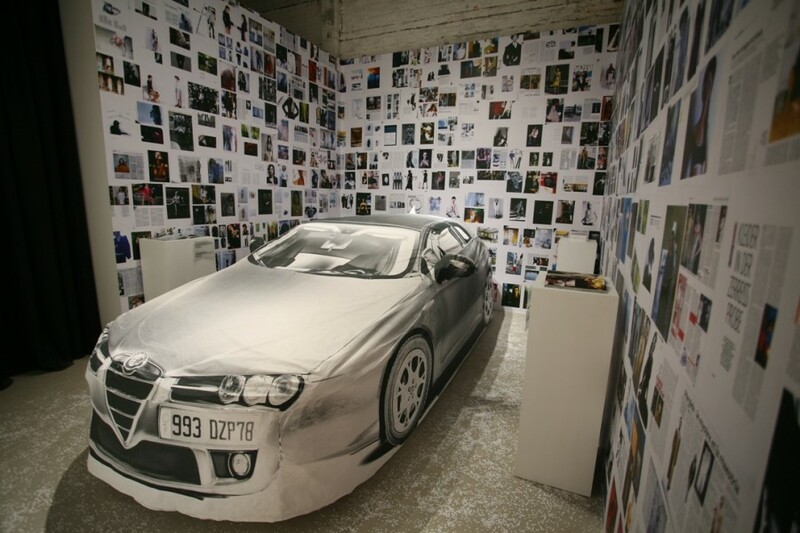 A car draped with a trompe d'oeil printed sheet is a special project that Maison Martin Margiela has developed in collaboration with various magazines. All the most important pieces from the Artisanal line, which will be showing its latest collection during Paris couture fashion shows next week, are also presented at the exhibition, which continues until July 1st.